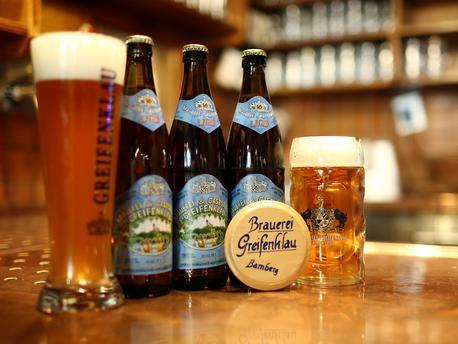 Long-established, familiar and traditionally Franconian: the Greifenklau brewery was built in 1719, is named after its founder, the cathedral canon of Greifenklau, and has been family owned since 1914. The fourth generation now brews some very well known beers: lager, wheat, and seasonal beers such as the zwickel, maerzen, smoked beer and bock! 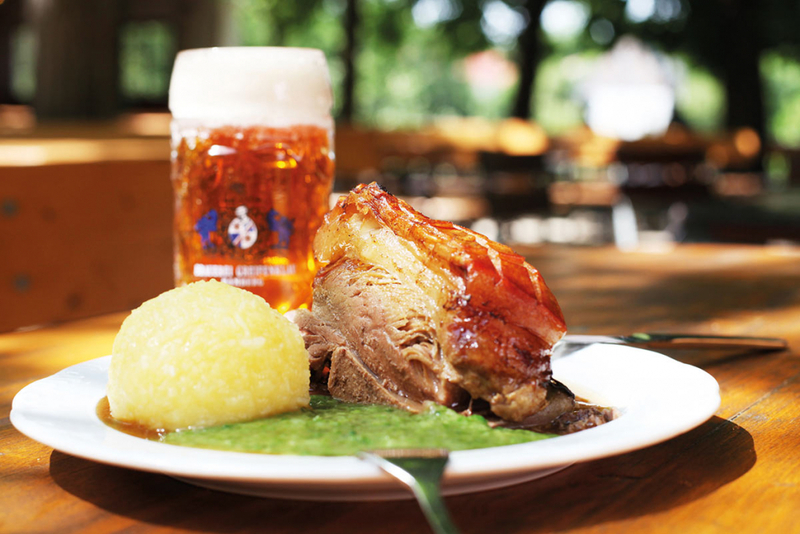 The World Cultural Heritage city of Bamberg and its beer are impossible to separate. 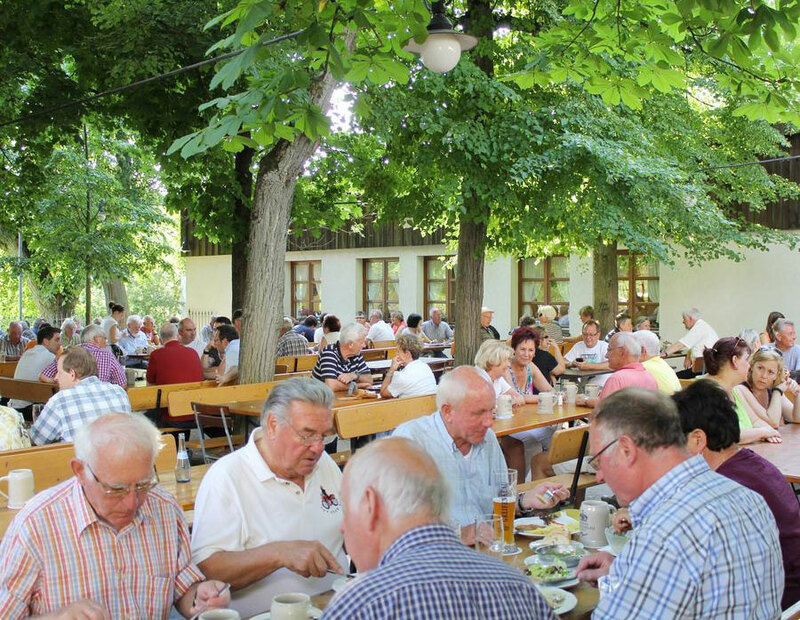 Enjoy our tasty home brewed beers in one of our comfortable guest rooms (65, 70, 80, 100 seats) or weather permitting, in our marvelous beer garden (500 seats, of which 150 are sheltered from the rain) with its lavishly old chestnut trees and its impressive view of the Altenburg. For good measure there are plenty of Franconian specialties offered. 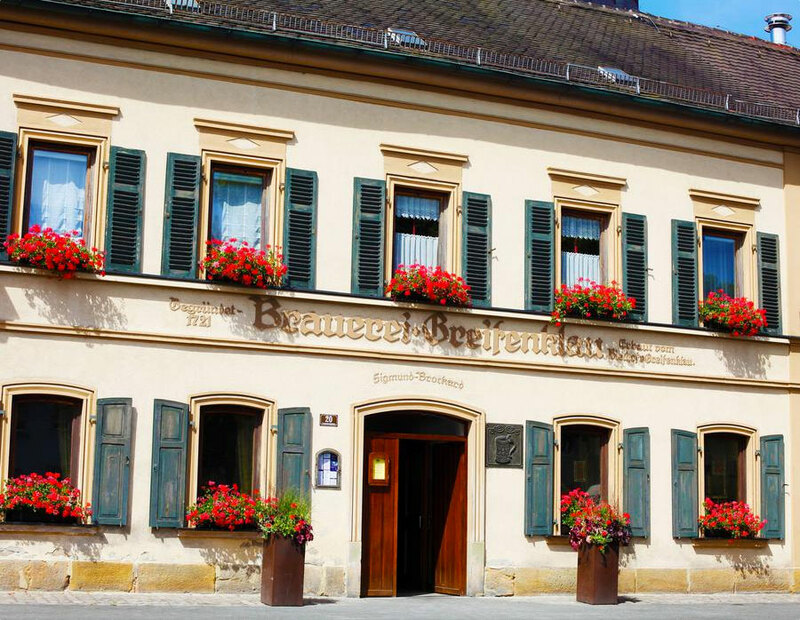 You’ll find hearty appetizers, the legendary ‘Blaue Gelbwurst’ (a pork and veal sausage), salads, giblets, seasonal dishes and, of course, our special roast cuisine. Parking is available in front of our pub. Both our beer garden and our rooms are wheelchair accessible City bus: line 901, 912 and 937 and the Bamberg train (6-Hügel-Tour). Local food with Frankonian specialties ranging from appetizers and snacks all the way to delicious roasts. with savoy and a delicious dumpling. 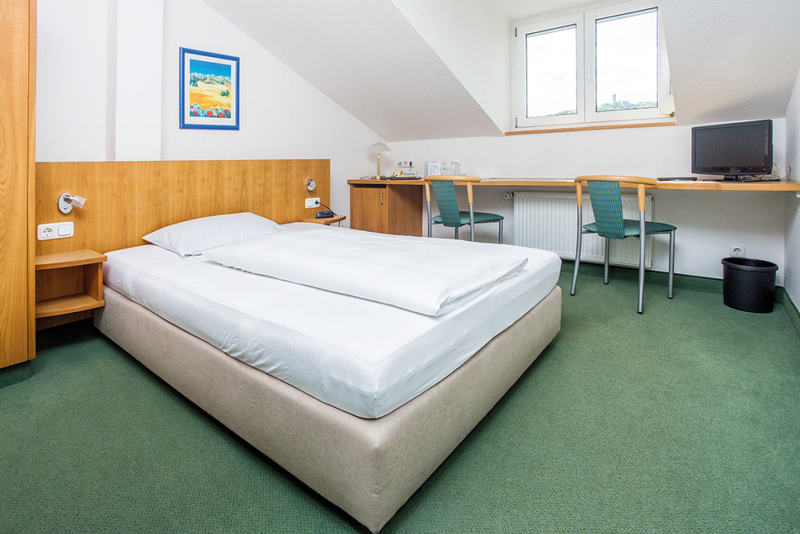 At the foot of the Altenburg, our serene, family run hotel, offers you parking spaces, WiFi and a bountiful breakfast buffet. You will lodge a mere 10-minute walk away from the historical old town district of Bamberg, a UNESCO World Heritage Site. 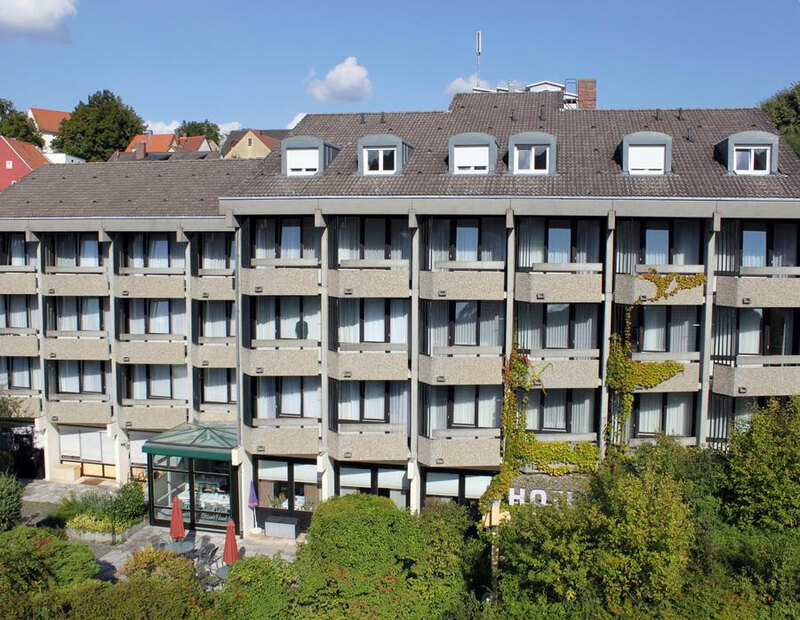 Come and experience some carefree, fun days here with us at the Altenburgblick Hotel! The traditional lager and our wheat beer are on tap year round. All of our beers are brewed by the family, on site. This is our way of guaranteeing its continuous quality and freshness.